Robin Hood is an animated film produced by the Walt Disney Studios, first released in the United States on November 8, 1973. It is the twenty-first animated feature in the Disney animated features canon. 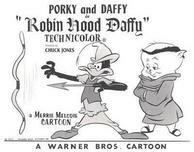 It was the first feature which began production after Walt Disney's death, although some elements were taken from an earlier aborted production ("Reynard the Fox") which Disney had been involved in. As a result, this was the first Disney movie to carry on in production without Walt Disney's involvement. 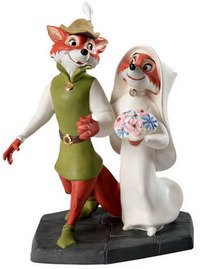 The film recounts the traditional stories of Robin Hood with the characters cast as anthropomorphic animals. It is narrated by the minstrel Alan-a-Dale, depicted as a rooster, who explains that while there are many different versions to the Robin Hood legends, "we folks of the animal kingdom have our own version."